Three years on from his international retirement, the former Australia all-rounder Shane Watson is still a force to be reckoned with in Twenty20 leagues. Watson, who was Player of the Match in the final, as Chennai Super Kings won the title in Indian Premier League 2018, comes into the 2019 edition fresh off winning the Player of the Tournament award at the Pakistan Super League. The former Australia all-rounder scored 430 runs in 12 games for title-winners Quetta Gladiators in UAE and Pakistan, with four half-centuries, averaging 43 and striking the ball at 143.81. The 37-year-old took a special liking to Peshawar Zalmi, against whom he hit a 43-ball 71 in the Qualifier and a 55-ball 91 in a league game. After his usual heroics with the bat, @ShaneRWatson33 bowled for the first time since last year's IPL to help @TeamQuetta into the #PSL4 final! Quetta won both games, and the final against the same side, and it prompted Peshawar captain Daren Sammy to quip: "Shane Watson has been a pain for us! "He is pretty experienced and he is enjoying his form. Quetta have had the better of us this season ... But that Shane Watson guy has been a pain for me." Quetta captain Sarfaraz Ahmed was effusive in his praise for his star player. "Watson has performed consistently for us throughout the tournament," he said. "He is a big player who can win matches single-handedly. "If you look at the knocks he has played for Australia or any other league anywhere in the world, you'll realise that when he gets set, he goes on to win games for his team. The opposition is wary of him." Before the PSL, Watson turned out for Sydney Thunder in the 2018-19 Big Bash League, and scored 344 runs, finishing as the second-highest scorer for his team. That included a century, the first of the tournament last season, which came off 62 balls. "To be able to play in some of these tournaments around the world, it's so much fun," he had said back then. "Also, I've experienced life outside of cricket. Cricket is what I know better than everything. While I can really contribute on the field from a skills point of view as a senior player and I'm still loving it, my mind's open to continue to play." In the IPL last season, Watson's tally of 555 runs from 15 matches was his highest in the league, bettering his maiden season, with Rajasthan Royals, where a tally of 543 runs from 16 matches had helped Rajasthan win the IPL. 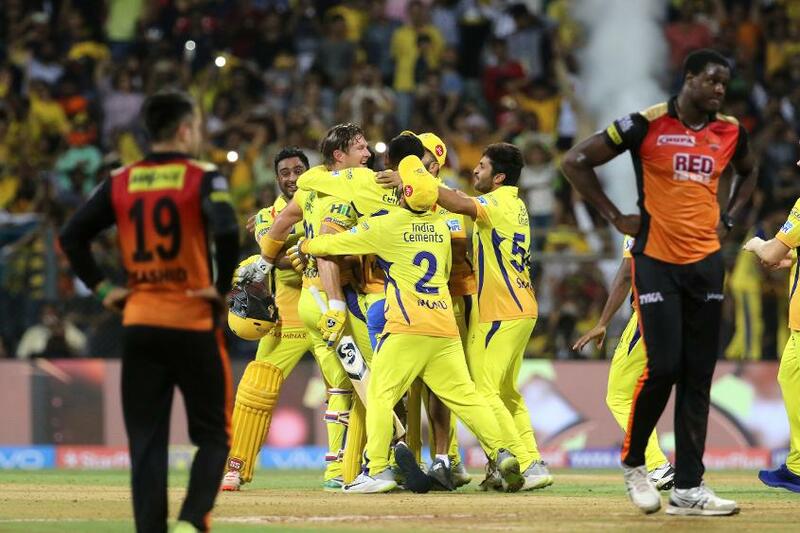 In the final, his magnificent 117 off just 57 balls helped Chennai soar past Sunrisers Hyderabad's 178 and win with eight wickets and nine balls left. All these are excellent signs for the defending champions, who will hope he can keep up his match-winning form.